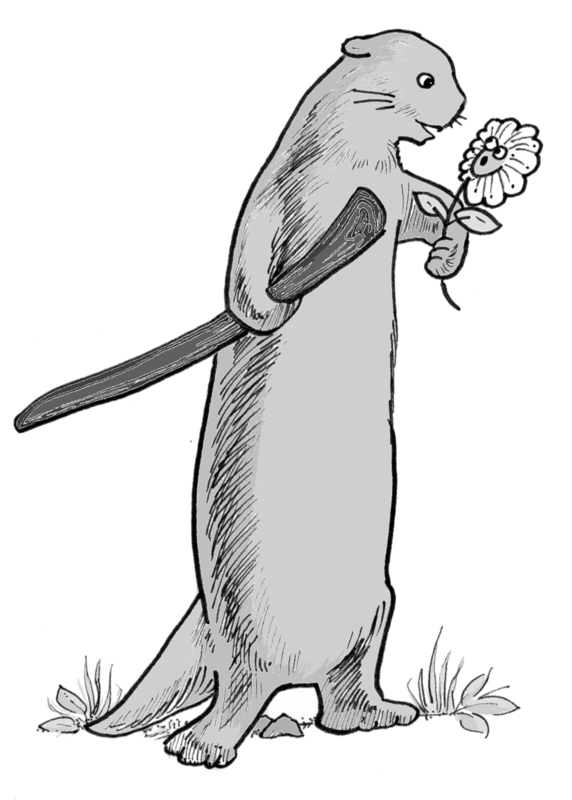 Brad the Otter is the funny, playful ‘toon that everyone likes to party with. Brad is well-connected with the paranormal world, on a first name basis with ghosts, sasquatch, (possibly aliens) and knows where the super-secret Dread Pyramid of Itzilichlitlichlitzl1 is located. Our more astute readers might look at the accessories Brad carries and start connecting some metaphysical dots. What is the mysterious cane-like thing he holds? Is it merely for whacking CHORFs, or does it have a different purpose? What is the weird object he holds in his left paw? These questions are bound to get you a visit from your favorite three-letter government agency, or perhaps a few back story strips down the road. Foreshadowing: your guarantee of quality comic literature! Brad is inspired by the other Mr. Sad Puppy, Brad Torgersen. Brad demonstrates real courage not only in standing up for what he believes in, but for literally putting his life on the line. Brad is scheduled to be deployed to the Middle East, and our prayers go with him. 1. More importantly, he knows what the pyramid references.